For allergy sufferers, allergy season can be torture. What many do not realize is that the sneezing, sinus pressure, and congestion may be worsened by the air quality in your own home. Getting a grip on your family’s allergies may be as simple as hiring a professional team to clear allergens from your HVAC system. At Dust Doctors, our air duct cleaning experts can get your air ducts clean and fresh and help your family breathe freely again. We’ve put together this handy guide to how air duct cleaning can help relieve allergies. If you’ve ever watched sunlight filter through a room, you know that indoor air can be filled with tiny particles of dust. Dust is made up of all kinds of particles including pet dander, pollen, and other allergens. Eventually, this dust can come to reside in your air duct system, where it is continuously cycled into your home’s air. Even ductwork in the cleanest of homes can eventually become allergen-filled over time. For families with allergies or asthma, these allergens can pose a risk to your overall health. Children, in particular, are often more sensitive to allergens and the increases health risks they pose. Many allergy sufferers are also highly sensitive to mold. You may be surprised to learn that your air ducts and HVAC system can be a breeding ground for mold and mildew. When changes in humidity and condensation occur, particles of moisture in the air can settle in your air ducts, allowing mold to thrive. Even if you take a peek and do not find mold inside your ducts, it may still be there causing a laundry list of upper respiratory problems for your household’s inhabitants. Not all mold growing in your air ducts is readily visible. To identify and remove this mold, a professional is often necessary. 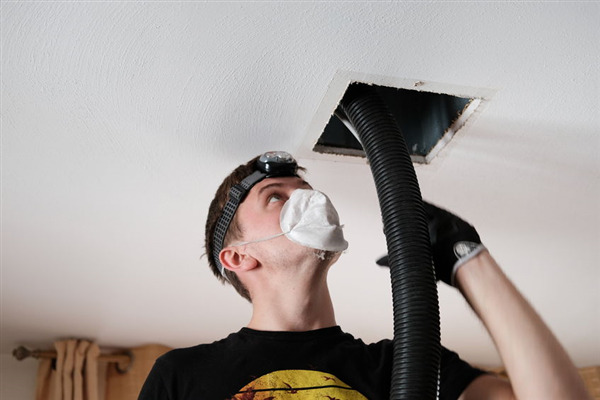 Air duct cleaning can dramatically improve the air quality in your home. Our HVAC duct cleaning professionals can remove all the dirt and dust that has built up inside your home’s air ducts over time. We use a powerful truck-mounted vacuum to remove mold and allergens hidden deep within your home’s HVAC system with compressed air. Once our experts have cleared out your air ducts, your home’s air quality will be dramatically improved. When it comes to keeping your family safe, your home’s air quality plays a crucial role. If your family is suffering from allergies, you may benefit from clearing out your home’s air ducts. Our expert team offers several levels of cleaning, including air duct cleaning, air whip cleaning, and deep cleaning. Contact us online for a free estimate, or give us a call at 651-319-9777 to schedule your cleaning today. What is Extreme Air Whip Duct Cleaning?